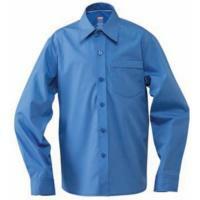 A neat and well-presented dress shirt is the staple of a school uniform. 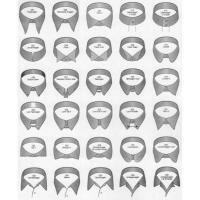 Branded has a range of dress shirts for both everyday use and special occasions. 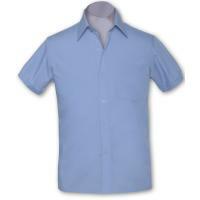 These shirts are usually made of cotton and cotton-blends to ensure they are cool and lightweight. We offer both off-the-shelf shirts in classic colours - white, blue, navy, grey, basic checks and stripes - and custom-made shirts in bespoke fabrics including complex checks and tartans. 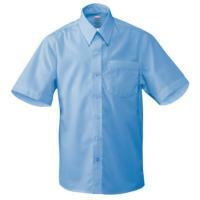 We trim our shirts with distinct colours, sleeves, buttons and plackets. Regardless of whether the shirt is off-the-shelf or custom-made, we also embroider the school logo on the breast pocket and can add special text wherever necessary. Take a look at some examples of our products below, but contact us to discuss your requirements in more detail and will develop a design to suit.